Are you ready for the birds chirping, the crocus blooming and the leaves breaking free on the tree branches? Are you excited about opening your windows and breathing in the fresh air? Are you thinking “Spring Cleaning”? Well it is the perfect time to get those dust bunnies hopping right out the door and those household chores can become even more tedious when the right supplies aren’t stored together. Taking a few minutes to organize cleaning products and supplies will save time and energy and make every-day life more manageable. Keep supplies together for related cleaning tasks (bathroom cleaners, dusting supplies, etc.). 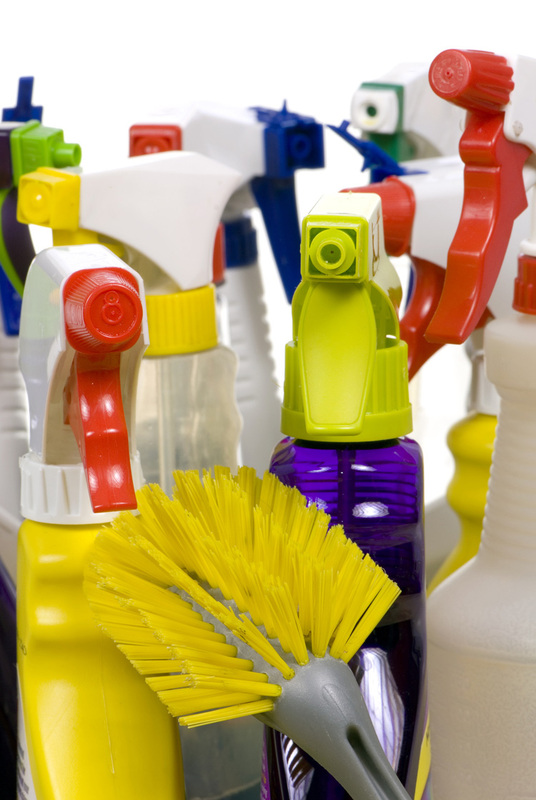 If you have room in each of your bathrooms, store cleaning supplies in each room. When the sink needs a quick cleaning, you have supplies right at your fingertip. Use plastic carrying caddies with handles for cleaning supplies. They are easy to keep clean and keep any leaks from ruining cupboard or closet space. Make sure to keep all cleaning supplies locked and out of reach from children and pets. Use pegs for hanging brooms, mops, and dusters. Have enough sponges or scouring pads for separate jobs (one for kitchen cleaning, a separate one for the bathtub). Instead of dust rags think about user items like Swiffers. They are disposable and dust well.